Dale Beeton is a Third Year BCom student majoring in Accounting and Finance. Here is a segment of the speech he gave at the FBE 40+ Reunion Lunch in September 2017. The annual lunch gives alumni who graduated from the BCom 40 or more years ago the chance to reconnect with the University and share memories with old friends. Dale interviewed Val (BCom 1954), one of the few women who studied Commerce in the 1950s, to find out what life was like for her then. The year is 1949. Valerie is a young woman, studying hard to finish her Year 12 education. Val has spent her life in rural Australia growing up on a farm. Opportunities for Val to take her education beyond high school are scarce. But, nearly 20 years later it is the 1960s, and Val is Deputy Principal at Balwyn High School. I had the pleasure of speaking to Val last week as she revisited many old memories of her time at University. Shortly after the Second World War, representatives from the University of Melbourne came to Val’s high school and asked if there were any students who would qualify for a teaching scholarship. Val won the scholarship, which gave her free accommodation at Frank Tate Hall and a weekly allowance. Val says she owes a lot to her mother. Her mother was the person who forced Val’s father to drive her to school and “demanded that we say our prayers, go to school and stay in school”. In some ways, my experience has been like Val’s – although I grew up in South Africa, I moved to Australia and completed my high school education in Shepparton in Northern Victoria. I understand what it’s like to live in a regional area, with a strong desire to move to the city to do further education. 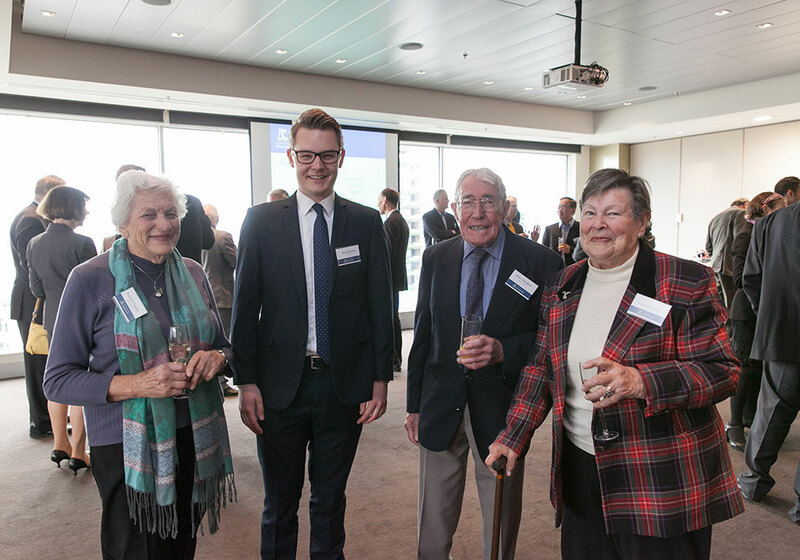 Throughout my undergrad I have lived at St Mary’s College and have also been the beneficiary of a very generous scholarship provided by the late Professor Colin Ferguson and KPMG Australia to accounting students from rural areas. In my three years at university I have been an active participant in the life of my residential college of St. Mary’s. I performed in the college’s musical, played a variety of sports, served as Treasurer of St. Mary’s and am currently finishing off my term as President of the College. 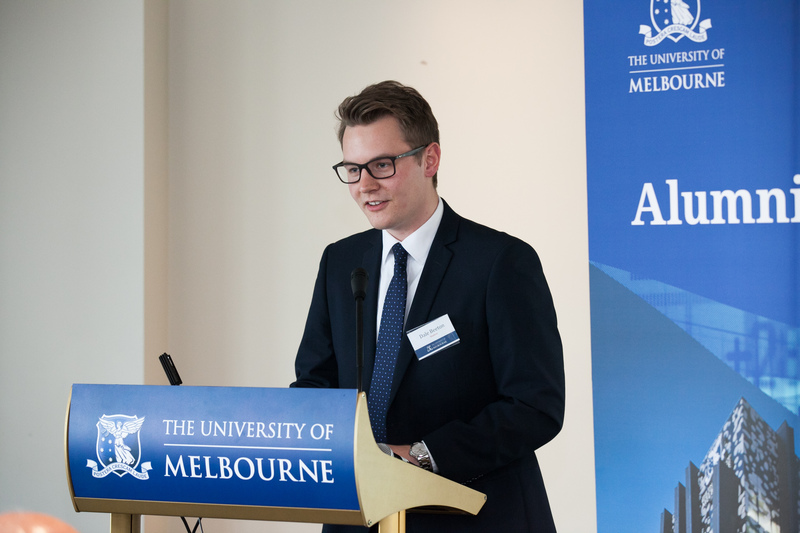 There are ample opportunities for today's commerce students to get involved in the Commerce Student’s society, The Financial Management Association of Australia and several other societies focused on providing fun social events and opportunities to engage directly with potential employers and recruiters. Val worked hard during her three-year degree, except on Thursdays - when commerce students didn’t have any classes. On Thursdays Val occupied herself with tennis, hockey and the Liberal Club. She says this day off was an “added-luxury” as the students who studied medicine and law didn’t have any days off. Val’s favourite subject was Economic Geography, which no doubt required many hours of lectures and hand-written notes - a concept quite foreign to many students these days. One very noticeable aspect of Val’s student life was the distinct lack of women in her cohort. It was uncommon for women to attend University in the early 1950’s. Val is one of only two living women from her cohort at University, a fact that really brings home just how few women went onto tertiary education in those days. Val referred to this situation as “very good” because it meant she got all the attention, and recounted the fact that there were always plenty of choice on boys to date! I asked Val about her favourite memory from her Commerce degree and I was surprised to hear that it was the Annual Commerce Ball. Val’s friend Peter invited her to the Ball one year to sit at his table, but during the night, another student named John kept coming up to the table and hovering around her. John was a cricket player for the University and an Arts student. He was so in love with cricket that he stayed on at University to study a Master’s degree and he ended up marrying Val. The Commerce Ball is still going strong to this day. In fact, it is without a doubt the most popular event at this University. Ticket sales open around 7am but groups of students frequently start queuing the night before, taking turns to hold their place in line while the other students sleep and then swap places every hour or two. Val’s journey through the Faculty of Business and Economics is just one of many. Every one of us, myself included, will cherish this time in our lives as a time of learning and discovery of ourselves and the world around us. Take a look at the photos from the luncheon. If you know an inspirational FBE alumnus, nominate them for a 2018 Alumni of Distinction Award. Banner image (left to right): Alumni Patricia Varley, Dale Beeton, alumnus Alan Douglas and Val Miles.